Work has begun on UKSSD’s plan to drive action on the Sustainable Development Goals (SDGs) in the UK. The project looks at each of the 17 Goals and 169 targets and analyses the UK’s performance. It outlines the opportunity the Goals offer and the type of actions needed if we’re to achieve them by 2030. UKSSD has now reached an important milestone as the initial research is complete and their draft findings are ready for stakeholder review. UKSSD are calling for organisations to volunteer to review the findings and contribute their own expertise to help shape the recommended actions for how the UK can achieve the Goals by 2030. A new deal to recycle more mattresses, carpets and furniture and save them from the nightmare of landfill has been secured by the Northern Ireland Environment Agency (NIEA) and social enterprise recycler Usel. The agreement will see Belfast-based Usel (Ulster Supported Employment Ltd) work with NIEA to expand their recycling facilities and help protect and enhance our local environment. David Small, Head of NIEA said the Prosperity Agreement with Usel would mean an increase in the amount of material they recycle. “This agreement is great news for both the environment and the local economy. Usel plans to work with the Housing Associations and recycle their carpets, diverting nearly 7,000 tonnes of waste carpets from landfill - enough carpet to cover up to 750 football pitches. More than 700 items of rubbish have been collected across every 100 metres of Northern Ireland beach in September 2017 alone. But one council is now leading the way on the single use plastics plaguing our beaches, seas and outdoor spaces with a ban. Ards and North Down Borough Council adopted the motion on plastics from Green Party councillors Rachel Woods and John Barry in November 2017. In it they called on colleagues to recognise the importance of reducing waste, our increased reliance on plastic and the amount of plastic that ends up in our oceans and on our beaches. Local environmental charity Keep Northern Ireland Beautiful has launched Green Key in Northern Ireland. Green Key is an internationally recognised eco-certification for the hospitality sector, thereby boosting the local tourism and hospitality industry and championing sustainable best practices. Is Northern Ireland a step closer of achieving energy generating secure communities through smart renewable hydrogen? 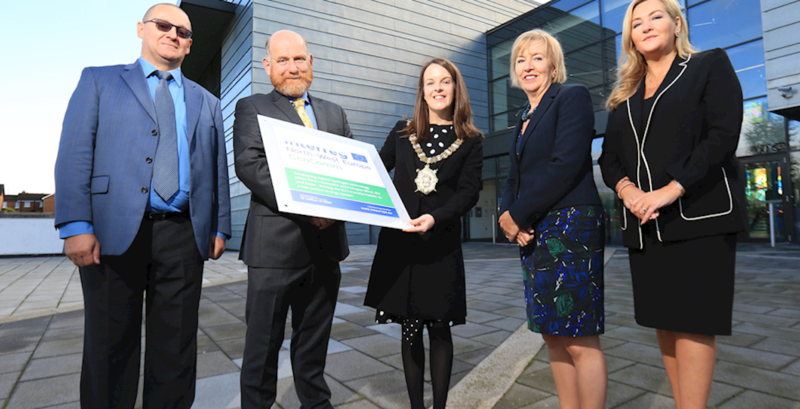 GENCOMM is an exciting new project being delivered by Belfast Metropolitan College with a number of European partners to address the energy sustainability challenges of communities through the implementation of smart hydrogen-based energy solutions. The Belfast Summit on Gobal Food Integrity will take place from 28 - 31 May 2018 at the Waterfront Hall, Belfast. The UK Government intends to share progress on implementing the Sustainable Development Goals at the High Level Political Forum on Sustainable Development in 2019. Lord Bates wrote to Maria Miller MP, Chair of the Women and Equalities Select Committee and in the letter, he confirmed that the Department of International Development (DFID) intends to submit a Voluntary National Review (VNR) at the 2019 High Level Political Forum on Sustainable Development to outline its intended approach for implementing the Sustainable Development Goals (SDGs). Ray Purdy and Peter Hjerp at Ecocentric were commissioned in late 2015 to undertake a review of environmental governance issues in Northern Ireland, by a coalition of Northern Ireland non- governmental organisations (NGOs). The Report looks at the adequacies of existing environmental governance arrangements in Northern Ireland and seeks to develop and strengthen ways in which Northern Ireland deals with environmental governance. Blog: Climate Change legislation in Northern Ireland - Is it just a lot of hot air? Climate change and the need for legislation to address it still remains a debate in Northern Ireland (NI), where specific legislation has not yet been introduced. The following article considers the introduction of specific climate change legislation in NI, exploring some of the main arguments expressed for and against it.